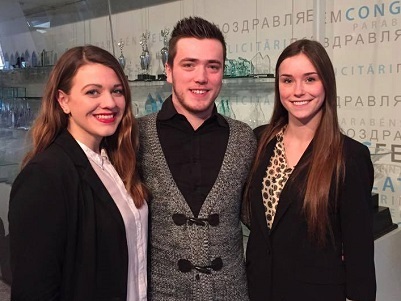 News > 2015 > HEC Montréal students shine at the MUCH Marketing Week! 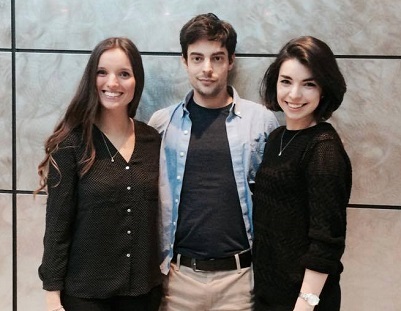 HEC Montréal students shine at the MUCH Marketing Week! 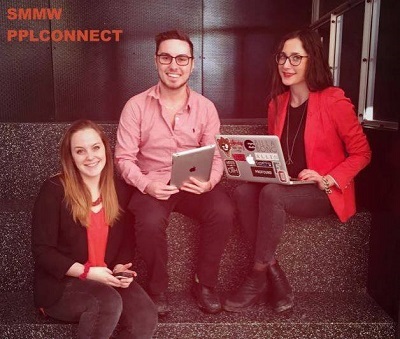 With three case competitions out of four won by the teams of HEC Montréal, a second prize and a jury’s favourite prize, the BBA students of our school earned top honours at the MUCH Marketing Week (SMMW) held on January 26-30! 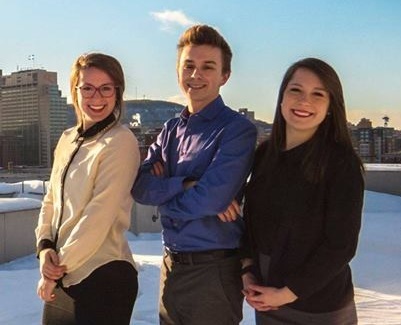 Indeed, Florence Cadieux-Perron, Cyril Nautin and Rachel Sicotte won the Marketel case; Alissa André, Valentin Roux-Dufort and Catherine St-Pierre won the L’Oréal case; while Jonathan Ménard, Catherine Léveillé and Justine Santot won the PPL Connect case. In the Mosaic case, the team made up of Katrina Albert, Audrey-Anne Legault and Marc-Antoine Hébert won second place. Marc-Antoine Hébert also received the jury’s favourite prize. Launched in 2007 and organized by students from the four schools of management in Montreal, the SMMW is a five-day event focused on marketing. The purpose of the event is to inform participants on the labour market reality, the importance of a solid business network, and the post-graduation opportunities available to them. Every year, over 400 students take part in the SMMW where four case competitions, each sponsored by a company, are held. A team from each school competes in each case competition. Congratulations to all the winners for their impressive performance! Marketel case: Florence Cadieux-Perron, Cyril Nautin and Rachel Sicotte. L'Oréal case: Alissa André, Valentin Roux-Dufort and Catherine St-Pierre. PPL Connect case: Catherine Léveillé, Jonathan Ménard and Justine Santot. Mosaic case: Katrina Albert, Marc-Antoine Hébert (jury’s favourite prize) and Audrey-Anne Legault.